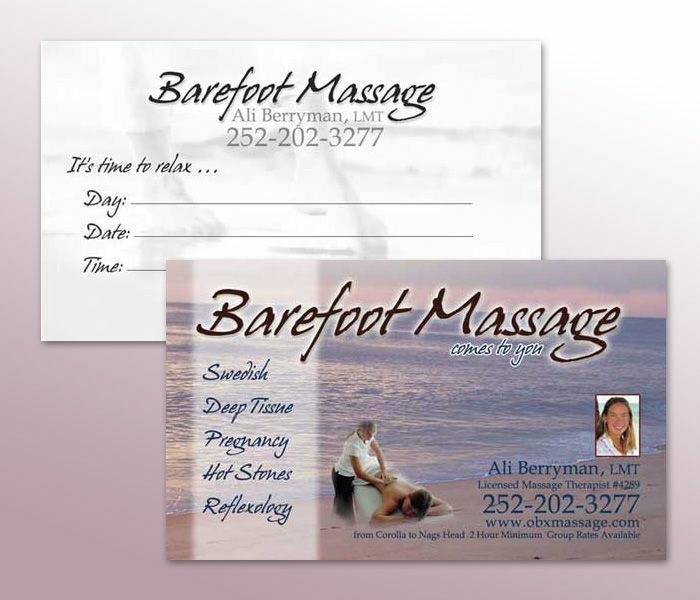 This business card was designed to invoke the feelings of relaxation while also displaying the different massage services offered. The card was designed in full color which gave us the ability to use the image of the ocean as well as the therapist’s head shot for that personal touch. 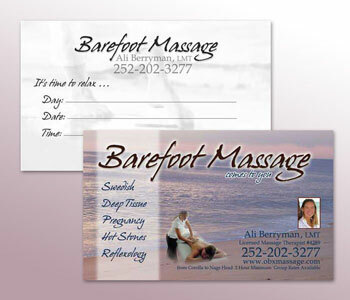 The back of the card was designed to be used as an appointment card. The cards were printed on a thick 16 pt stock with a glossy front and a matte back which can be written on with a pen for appointments.